A must-go place after a beautiful mountain hike or a bike ride! 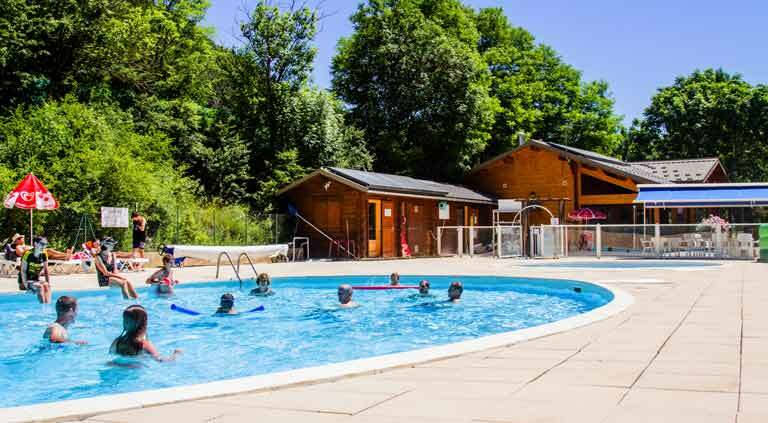 The heated pool is a welcoming place for the whole family, with its paddling pool and bouncy castle for the little ones. The outer pool area is large enough to accommodate our many beach-chairs, open from 10 am to 7 pm. After, before or skipping a workout, this is a place where you can relax. 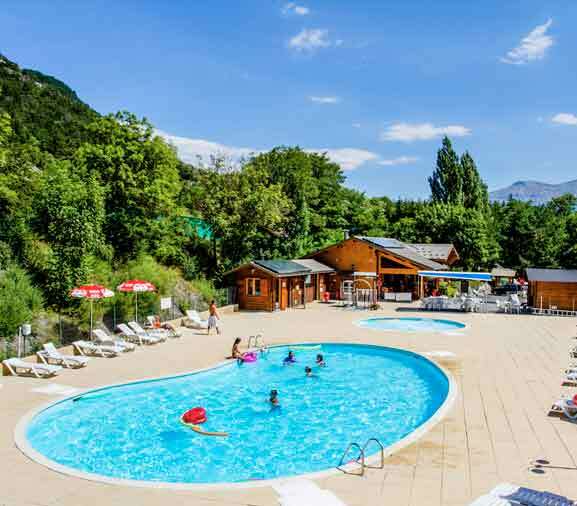 Whether you’ve just come from a mountain bike ride in the Alps or a TV session in your room, our large heated swimming pool welcomes you every day from 10:00 to 19:00 in the vicinity of Barcelonnette. Swim a few laps while your kids explore the seabed with their snorkel. Perfect your backstroke and think of the the tactics to employ at the petanque tournament or your tennis match. You can quench your thirst at the bar and grab a snack while waiting for lunch or dinner. Do you get cold easily? 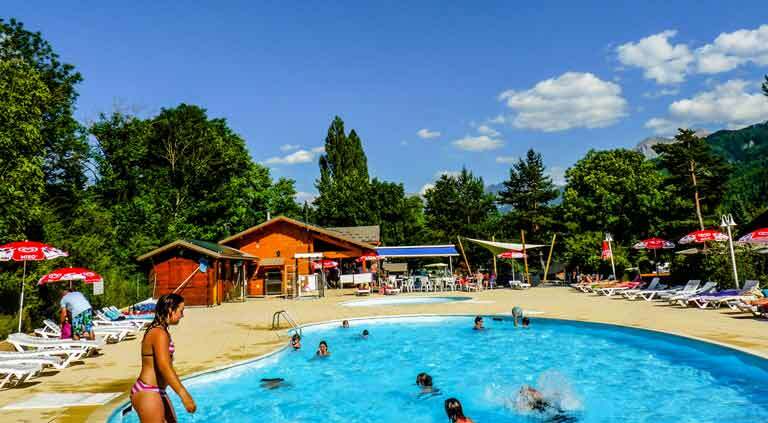 Our heated swimming pool guarantees its visitors a pleasant water temperature whatever the outside temperature in the Provence-Alpes-Côte region is, even in low season. After your swim, place your towel on a lounge chair and relax on our sun lounge under the Provençal sun. You can finally finish that book that you have set aside for too long. 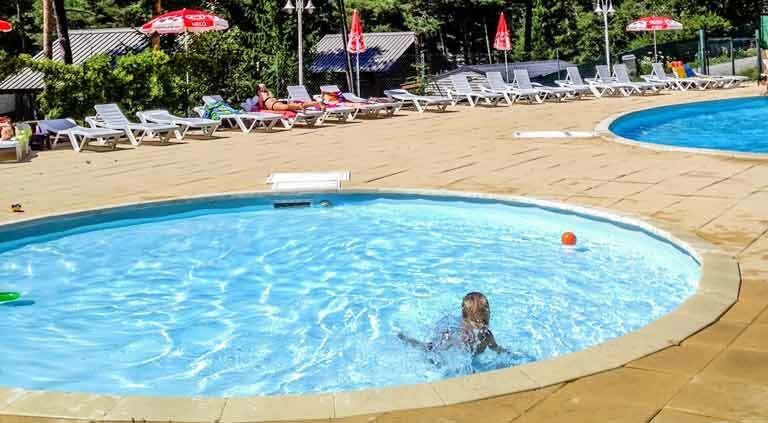 Next to our heated pool, you will find a bouncy castle that the children will delight in, and a paddling pool in which toddlers can swim safely. You wish to combine a relaxing day by the pool with a day full of adrenaline in the river? 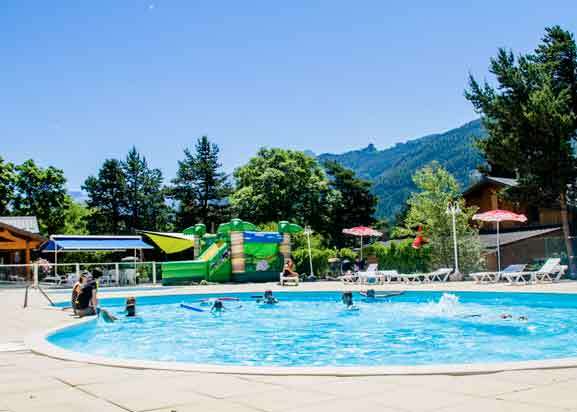 Inquire at the reception to find out about the water sports offered around ourcampsite Alpes de Haute Provence Le Fontarache à Les Thuiles (rafting, canyoning). Important: in and around the pool, your children remain under your responsibility. They must therefore be accompanied by an adult and constantly surveilled.